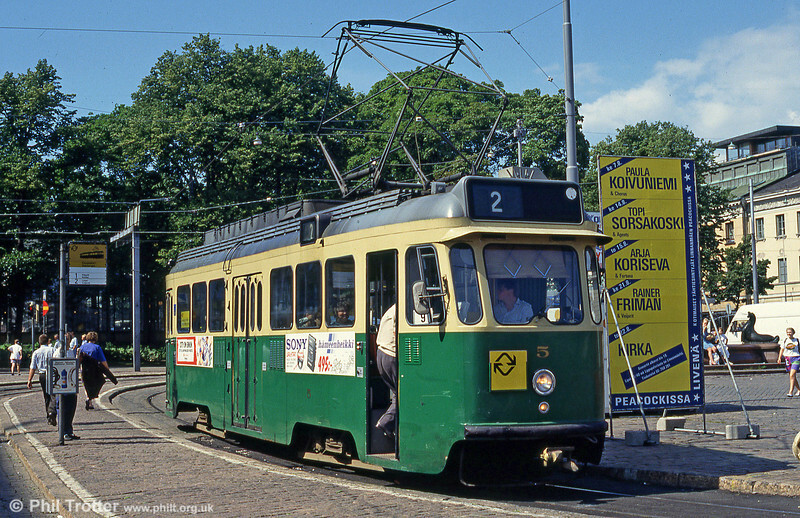 Helsinki car 5 at Kauppatori on 1st August 1991. During the 1950s a total of 105 Finnish-built double-bogie trams were delivered. No. 5 is type HM V.